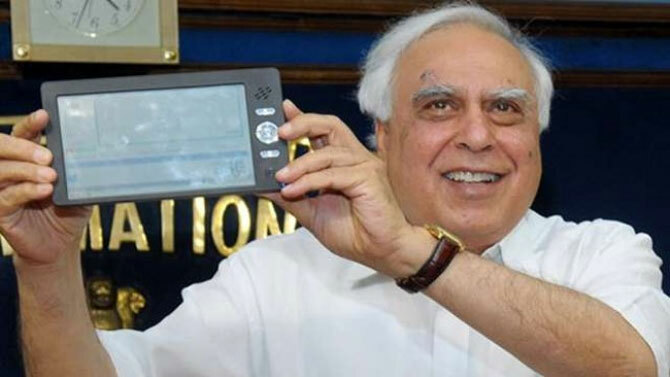 Union Telecom Minister Kapil Sibal on Monday said low-cost tablet PC Aakash 4 will be available in the market in around one and a half months for Rs 3,999. "Aakash 4 will be available in the market in one or one and a half months. 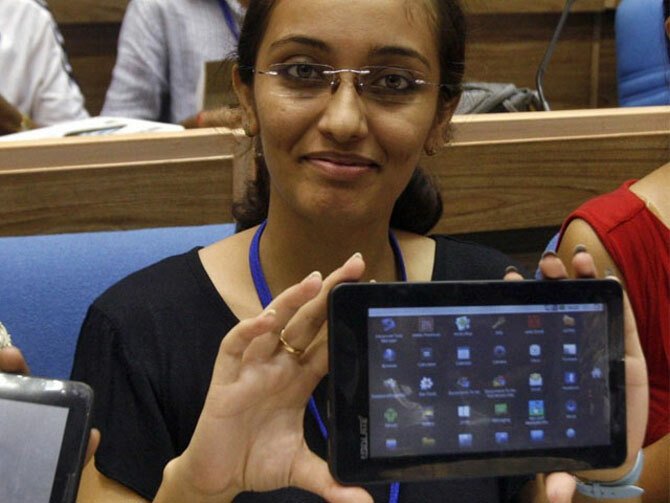 Its a modern tablet and will be available for around Rs 3,999," Sibal said in New Delhi. He added the Directorate General of Supplies and Disposals (DGSD) has already floated the tenders for the tablet. The tablet comes with a 7-inch scratch resistant touch screen, Wi-Fi, 2G, 3G and 4G connectivity, 4GB internal storage, external memory card slot with storage capacity of up to 32 GB, front camera, etc. The Aakash project was Sibal's brainchild when he was the HRD minister. The idea was to provide low-cost computing device at subsidised rate to students to enable them access Internet for educational purposes. He also said the government will soon move ahead on the proposal of merging state-run Bharat Sanchar Nigam Limited and Mahanagar Telephone Nigam Limited. The merger of the companies is part of DoT's plan for the revival of the public sector telecom units. The government has already decided on pension issues plaguing both the public sector units along with refund for wireless broadband spectrum worth more than Rs 11,000 crore (Rs 110 billion) to MTNL and BSNL. Will Aakash SUCCEED even as it FAILS?